Hey y'all! 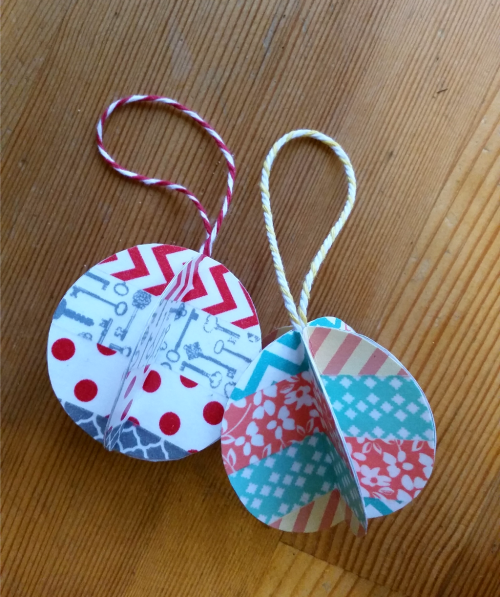 A couple of months ago the folks over at Stitch Craft Create in the UK asked my if I'd like to participate in a little Christmas ornament blog hop, of course I said yes, and today is my day! I worked with the US side of Stitch Craft Create many, many times before it became a UK publication (four issues in a row to be exact and have had a couple of my patterns republished in the UK edition too), and I must say that they are really fab people to work with! 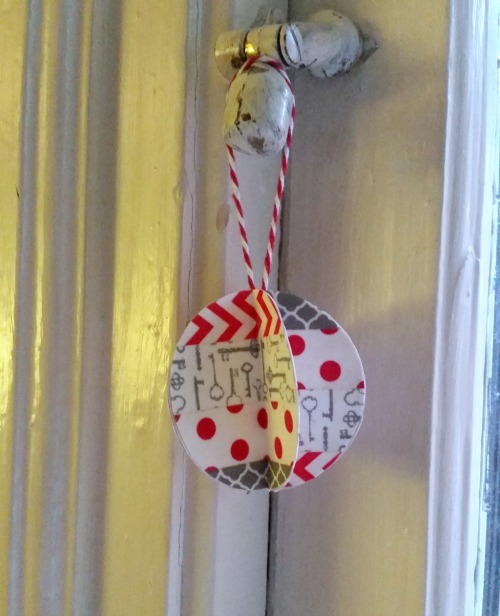 Since I have more washi tape than can possibly be good for me, I chose to make one of the ornaments from Washi Tape Christmas by Kami Bigler. Although, who am I kissing? I love books and SSC has so many fun looking holiday craft books (I already own Handmade Scandinavian Christmas and it is awesome). 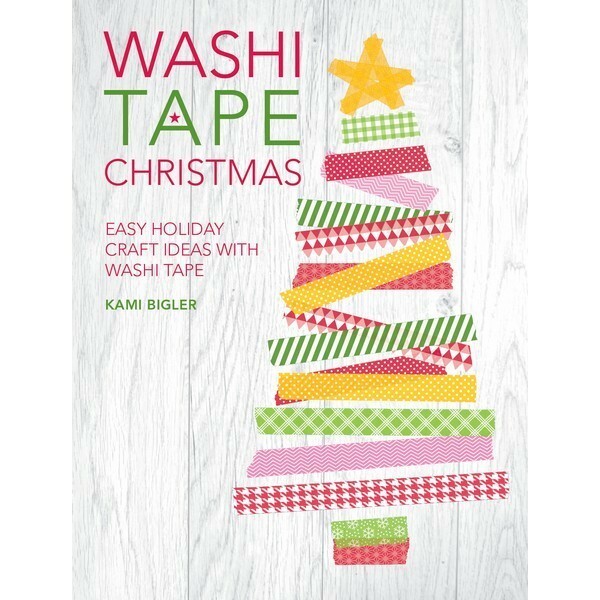 This book is super cute and has lots of ideas for using up all that spare washi tape; there's cards and gift wrapping, ornaments and decorations, and so much more. Very, very cute! I decided to make the Jolly Holiday Baubles and they were so simple! The best part was digging through my washi tape and deciding which tape should be next to which. Since I don't own any circle punches, I cut all of my circles out by hand so there are a few that are a little wobbly. I still think they're cute though! 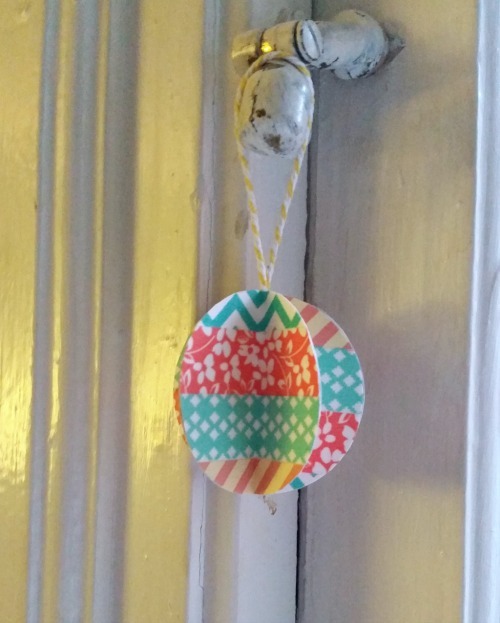 Just for fun, I decided to make two baubles using different colour schemes. This one is red and white with a little gray thrown in (which sort of matches my holiday theme for this year. The second one I did in turquoise and pink for a vintage Christmas feel! 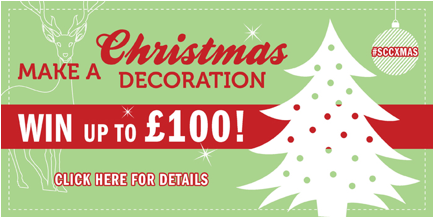 I think this colour scheme also makes this bauble less Christmas-y - something that you could make for decorations for a baby or bridal shower. Go here to see all of the bloggers participating in this hop - many have blogged already but there's still a few more to go! Hop on over here for all the details! There's only a few days left in the contest so be sure to check it out soon if you're ineterested!